Embrace your inner nomad with earthy gems. Tropical treasures and sips with a splash. Stunning jewels and gems are in full bloom at this garden party. It’s no gamble with these table-ready fashions, jewels and gems. Decadent pastries, luxe jewels and gorgeous gems sweeten the season. Heavy-metal bands, bangles and bling to rock the night away. 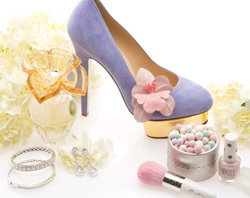 Add flair to your wedding party wardrobe. Eastern sophistication meets western chic in our fashion and jewelry centerfold. A celebration of two decades of style—finds from The Forum Shops at Caesars. Sophisticated and stylish. Who says you can’t live the suite life, complete with jewels and gems? ’70s glam and timeless gems create a luscious look. 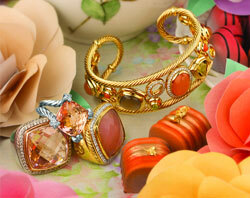 Jewels and gems shine in our vintage-inspired spread by photographer Robert John Kley.